Church does not just happen. Many people offer their gifts and skills to keep everything running and to serve you. Meet a few of us. 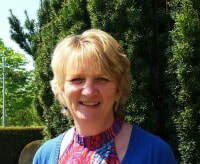 Caroline has been the Vicar of Bassingbourn and our sister Church in Whaddon since 2013. In addition to being our vicar she is also a practising GP and lecturer in medical ethics which means she is part-time in the Parish (she is usually available on Sundays, Tuesdays, Thursdays and some Saturday afternoons). 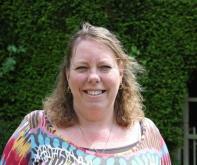 Caroline was ordained in 2009 and served at churches in Bristol before moving to Bassingbourn. She can often be found walking her dog Meg along the footpaths of Bassingbourn. Erica and Stephen are Licensed Lay Ministers – sometimes called Readers. They are volunteers with other responsibilities of families and jobs who also manage to find time to lead services and preach, offer pastoral support, take funerals and work alongside Caroline in leading the church. Vic and Michelle are our Churchwardens whose responsibility it is to keep the church running smoothly and the building in good order. They are very busy organising the many volunteers and making sure everything is ready for the services. 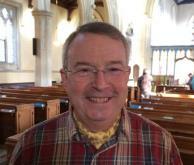 Nick is our parish administrator and can be found in the church office three mornings each week. He is often the first contact for people getting in touch with the church. He works closely with Caroline and the rest of the team to help them in all they do.